JOHANNESBURG (miningweekly.com) – The once overwhelmingly dominant South Africa segment of gold mining company AngloGold Ashanti has been reduced to a mere loss-making shadow of its former self. In the six months to June 30, South Africa produced a mere 10% of the company’s gold unprofitably. 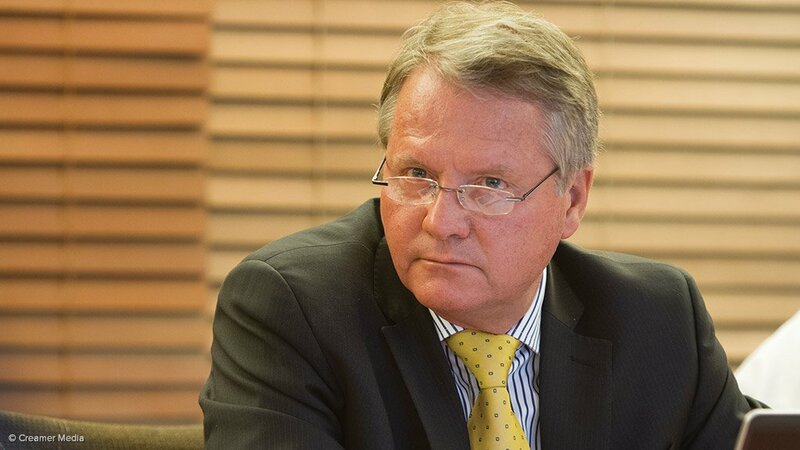 “We’re hopeful that we’ll see the sale of going noncore assets to avoid job loss,” AngloGold Ashanti South Africa region COO Chris Sheppard said in response to Creamer Media’s Mining Weekly Online during a media roundtable on Monday. Dialogue is under way under Section 189 of the Labour Relations Act to adjust the cost structures of the South Africa region to its far smaller footprint, by simplifying the operating model and reducing the off-mine, noncore cost base. A change in shift times to allow for work teams to have eight hours a day at the face rather than the current four-and-a-half hours is being negotiated to provide increased productivity and a lower on-mine cost structure. “We’re going to seek to reduce the R3.3-billion annual overhead cost by two-thirds. That will take place by rightsizing the workforce, which contemplates, potentially 2 000 fewer jobs. I must hasten to add that we’re far advanced in a number of job-loss avoidance measures. We’re fairly confident that we’ll succeed in a number of job-loss avoidance measures, which will see us having a commercial arrangement with third parties around assets ranging from surface chemical laboratories, through to rail networks and hospitals,” he added. Converting the South African asset base to profitability is a key strategic focus area of the company, which now produces 44% of its gold on the rest of the African continent at an all-in sustaining cost (AISC) of $939/oz, 24% in the Americas at an AISC of $877/oz and 19% in Australia at an AISC of $1 052/oz. The AISC of the South Africa region, where AngloGold is down to only two operations – Mponeng, the world’s deepest mine, and Mine Waste Solutions, a surface operation – is the highest by far at $1 269/oz. Mponeng’s half-year production is up 12% to 119 000 oz and Mine Waste Solutions is currently cash-generative. “Certainly, the cash-burn rate has come down quite significantly in South Africa,” said AngloGold CEO Srinivasan Venkatakrishnan (Venkat) who is preparing to hand over to new CEO-designate, Kelvin Dushnisky, on September 1. Despite South Africa’s hugely diminished and highest-cost performance, the Johannesburg- and New- York-listed company as a whole has done well in the half-year, strengthening its balance sheet and increasing productivity in producing 1.629-million ounces at a total cash cost of $823/oz. Under Venkat’s leadership, the company has pulled down its costs by more than a fifth, halved net debt from its peak, self-funded the Kibali project in the Democratic Republic of Congo and Tropicana in Australia, produced 58% more gold per employee costed than five years ago, and avoided diluting shareholders. “Often trying to run a self-sustaining gold company in a bear market can be quite unglamorous, but certainly it’s poised to deliver value over the long term,” Venkat commented. Some $66-million is being invested in Mponeng, of which $11-million is on extension project work and $55-million on nominal reserve development. The extension provides access to 12.5-million ounces of gold within the large 50-million-ounce Mponeng resource. The feasibility study for Mponeng's Below 120 life-of-mine extension project, which takes in both the Carbon Leader Reef and the Ventersdorp Contact Reef and which was scheduled for completion during the latter part of this year, suffered delays in the half-year. The technology innovation project has been scaled down in line with the accelerated closure of the Tau Tona gold mine. Work is continuing to establish a site for a high-strength backfill plant at Mponeng, construction of which is expected in the second half of this year. Overall group production and cost performances helped AngloGold Ashanti to deliver higher overall first-half earnings and cash flows in the first half of this year. Headline earnings rose from a loss of $93-million in the first half of 2017 to $85-million in the first half of this year, which has prompted the company to forecast production at the top end of its guided range and costs at the bottom end. Net debt declined by 17% year-on-year to $1.786-billion from $2.151-billion at the same time last year. The ratio of net debt to earnings was 1.12 times, compared with 1.56 times, well below the covenant ratio of 3.5 times that applies under the revolving credit facilities.